Presentation sleeves lined with black paper. 180 micron available in A1, A2, A3 AND A4 sizes. 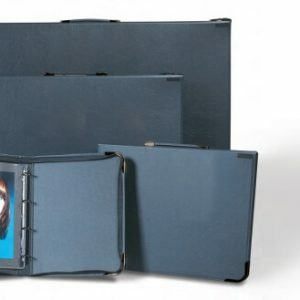 Top quality portfolio made from weather proof leather-look vinyl with matching internal pockets. 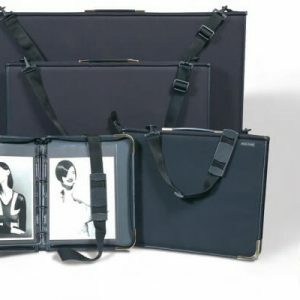 These folios come with fitted with steel bar spine, double cushioned handles and burst proof rings. A1 and A2 sizes come with free shoulder strap. A sensibly priced portfolio with burst proof rings to attach sleeves. It has a leather-look vinyl finish, protective black metal corners, and one internal pocket. Double cushioned handle.